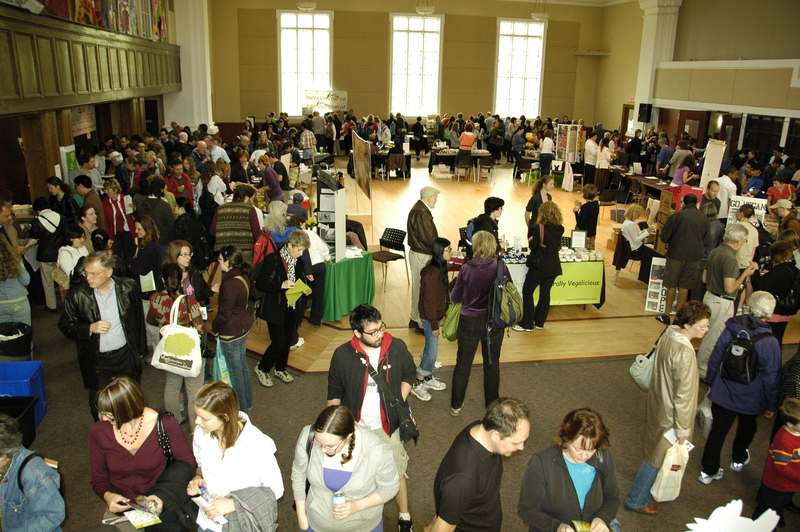 The NCVA is small, but mighty: In 2009 and 2010 we put on two Veg Fest events at Ottawa’s Glebe Community Centre, which attracted a combined 4,000 attendees! Pretty amazing for a tiny, 100% volunteer-run organization. Each Veg Fest (title sponsored by The Table Vegetarian Restaurant: http://www.thetablerestaurant.com) featured roughly 30 exhibitors, three food demonstrators, and three guest speakers. A silent auction raised funds for the NCVA. Other sponsors have included ZenKitchen, Green Earth Vegetarian Restaurant, Rainbow Natural Foods, and Market Organics. Our guest speakers have included high profile names including Brenda Davis, RD (www.brendadavisrd.com), Jae Steele (www.getitripe.com), Gene Baur (www.farmsanctuary.org), and Dr. Michael Greger (www.drgreger.org). We are currently sorting out the details for Veg Fest ’11. Stay tuned for more information!